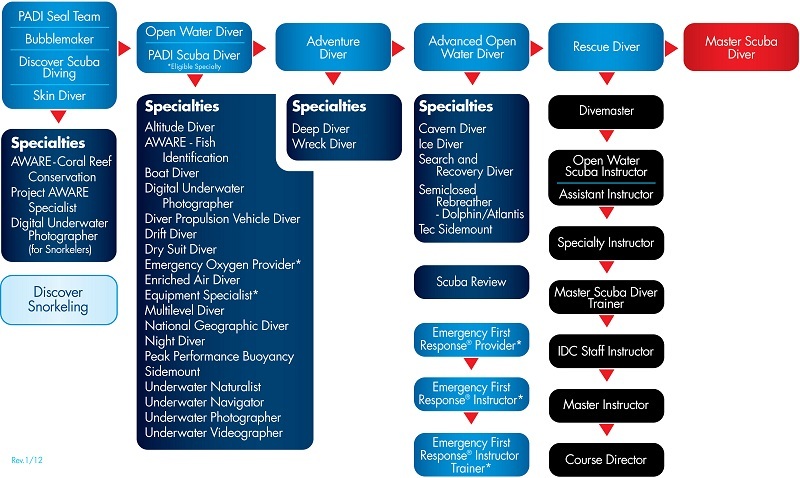 What diving course is right for me? 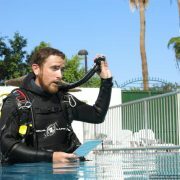 Aqua-Marina PADI 5* Dive Centre has been teaching the full range of diving courses in Tenerife since 1999. Throughout this time we have taken countless people through their first breaths underwater; providing the training and the confidence to safely dive in the open sea. We provide the complete range of diver training courses from Discover Scuba Diving through to Instructor training. We teach a broad range of PADI Specialties including Technical and Sidemount diving. We provide close attention from experienced Instructors through maintaining small class sizes and low Instructor:student ratios. With have no fixed start dates: courses are run on demand and fit around your schedule. If you’re new to diving and want to try it or get your first qualification then click here to explore your options! If you already have a licence to dive but want to learn, see and do more underwater then click here to see what is available to you. Are you up for the challenge? Broaden your horizons and extend the range of your diving capabilities with our structured Technical diver training. Try diving for the first time with the PADI Discover Scuba Diving Programme. This experience will not provide you with a license to dive, but is a great way to give it a go to see how much you like it. 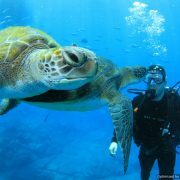 Get your PADI here in Tenerife! 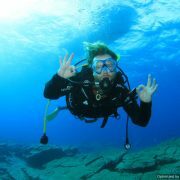 The PADI Open Water Course is the most popular diver training course in the world. Gie us three days and we will give you the key to exploring a whole new world! Want to see the magic of the underwater world without diving? Snorkelling tours are a great way to get out and about in nature and come face to face with incredible marine life. Take your skills to the next level with these 5 dives which provide a taster of various different specialty programmes. Advanced Divers are qualified to dive to 30 metres. Hope for the best, plan for the worst. you never know when an emergency will arise – the PADI Rescue Course will equip you with the skills and knowledge to help out and potentially save lives in the event of an emergency. If you are interested in learning about technical diving then the PADI Tec 40 course introduces you to the tec diver’s ethos and equipment configuration, whilst teaching you the basics of accelerating decompression following deep dives. Build on what you learned in the Tec 40 course by diving deeper for longer and breathing up to 100% Oxygen to accelerate your decompression. 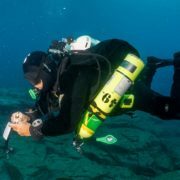 Learn to plan and execute decompression dives to 50 metres on air, using multiple stage cylinders to accelerate decompression with up to 100% Oxygen. This transitional course can be completed at any stage in your Tec training, or integrated into one of the standard Tec courses. Turn your hobby into a career and get paid for doing what you love! Divemaster Training can be completed as an intensive course or through an internship programme – click the link below for more details. Take diving to the next level. Share your love of the sport with others and earn a living from doing what you love most. A PADI Instructor has a ticket to travel and live in exotic locations around the world, exploring under the waves and enjoying the best job on the planet!